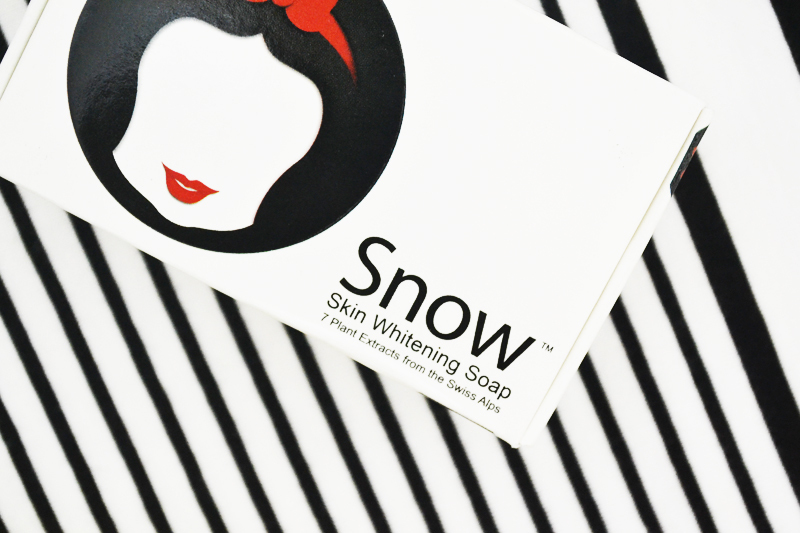 Snow Skin Whitening Soap Review | Top Beauty Blog in the Philippines covering Makeup Reviews, Swatches, Skincare and More! If there is one thing in life of which I am certain, it is that I am a complete and utter fan of whitening soaps. Though I was born with fair skin I still do love using whitening soaps (and so does my mom). And when the amazing people from Vida Nutriscience Inc. contacted me and asked if I'd be interested to review their Snow Skin Whitening Soap* — of course, I said yes. They were generous enough to send me four boxes to test and right now, I am already on second soap and third week so today I'm gonna be sharing my thoughts regarding their whitening soap. Treat your skin with the necessary energy and nutrients to ensure a radiant, clear, complexion thanks to Snow Skin. 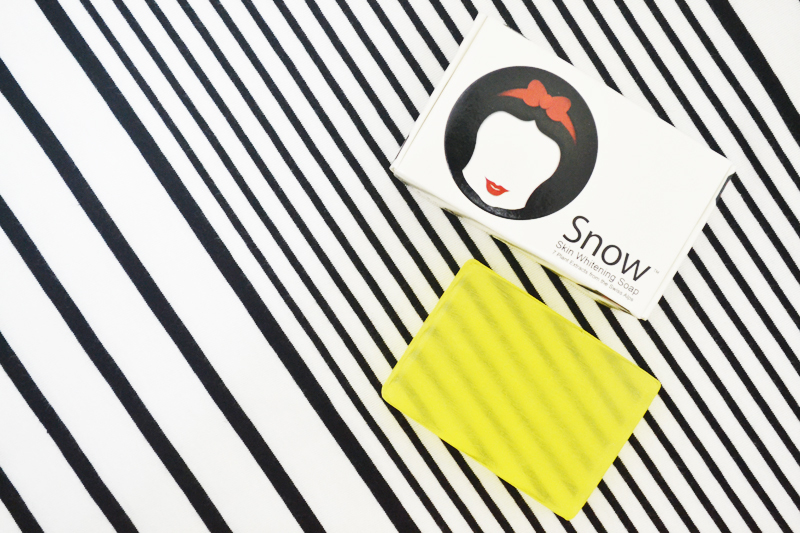 The Snow Skin Whitening Soap works to whiten your skin with its advanced formulation. It contains nutrients that enriches your skin with a natural skin lightening complex, giving it a clear, radiant, and youthful shine. • The box is sealed and the soap inside with plastic to ensure freshness and cleanliness. • All the ingredients are listed at the back of the box. • Doesn't contain any harsh formula. • Doesn't made my skin dry and/or flaky. • Made my skin look lighter and healthier. • The soap is very gentle on the skin. • It made my skin feel soft and very clean. • The manufacturing and expiration date are printed on the box. • Dermatologist tested and clinically proven. • It is a tad bit expensive (Php 149.00) compared to the other whitening soaps I've used before. • The soap melts quickly! Make sure to store the soap in a cool dry place after using. • One bar is not enough to see the visible whitening results. • It smells very natural and organic (?) Well, it does not smell bad. It's just that I prefer using fruit / floral scented soaps and I think this soap would've been better if it smells something like that. Overall, I am very happy with this soap. If you are looking for a soap that can help you achieve a lighter and healthier looking skin that doesn't have all those harsh bleaching agents present in most of the whitening soaps available in the market these days I suggest that you give this soap a shot. The Snow Skin Whitening Soap is currently availabe in Mercury Drugstore and Lazada (online). To know more about them you may check out their website and facebook page. Very nice review, didn't known this brand but it seems great!! Impressive review I never use whitening soap this is the first time I heard of it. Didn't know that before but it looks and sounds great sweety! Interesting post. Sounds like a great new product. This review is very nice! love the packaging!! really cool! it seems very intriguing such a soap that can whiten the skin! but the packaging is pretty cool! I've never heard of this brand but I may have to try it. I'll be in the Philippines next year so I'll definitely keep my eye out for it! It looks great, but it's quite expensive!